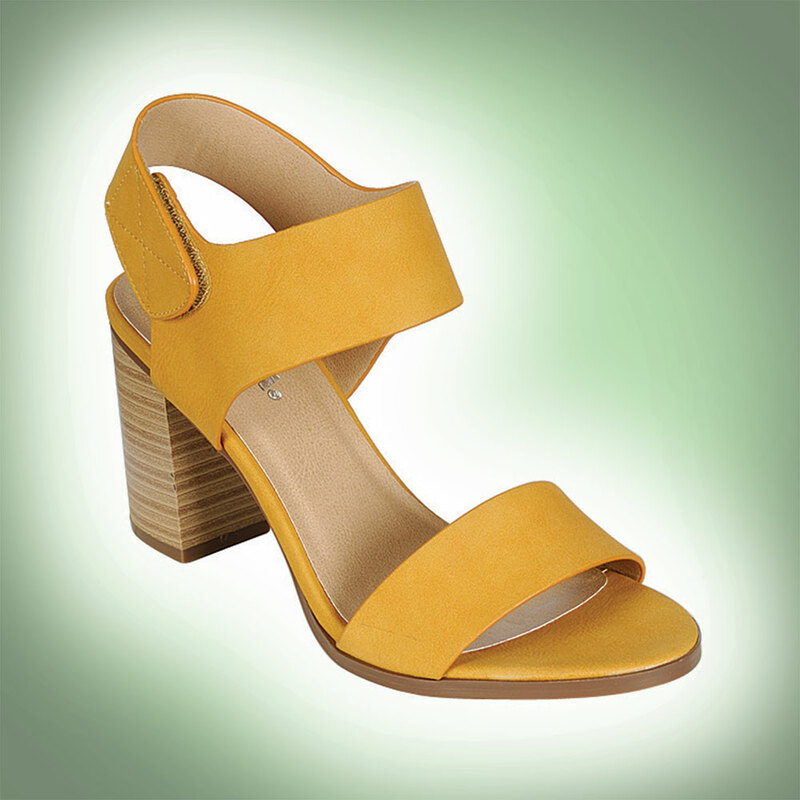 Blocky stacked heel sandal with velcro ankle strap. Available Colors : Black, Dark Tan, Blue, Bright Orange, Camel, Cognac, Mustard, Stone. © 2006 -2015 Fortune Dynamic Inc. All Rights Reserved.